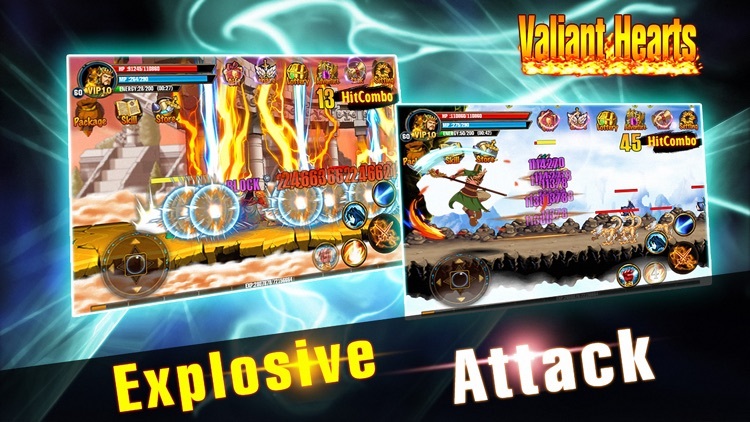 - The most classical arcade mobile game "Valiant Hearts:Blood Blade" come back with honor! - A tiny installation package which less than 30M! You can play without networking! - Attention focused by millions of people! - Full support on iPhone5, iPhone 5s, iPhone6, iPhone6Plus and iPad! 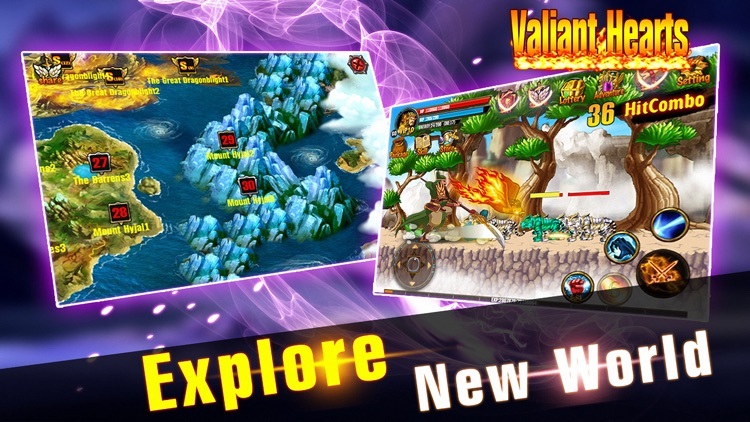 - Full HD Graphics for Retina and iPad display! 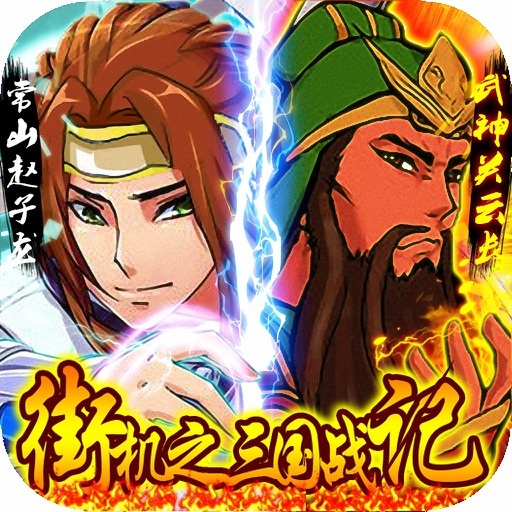 The most exciting ARPG stand-alone mobile game, you are the hero! - A metric ton of sick COMBOS! - [PLOT] More than 50 stages! - [Control] Don’t stop to fight!! Feeling the ultimate action game! 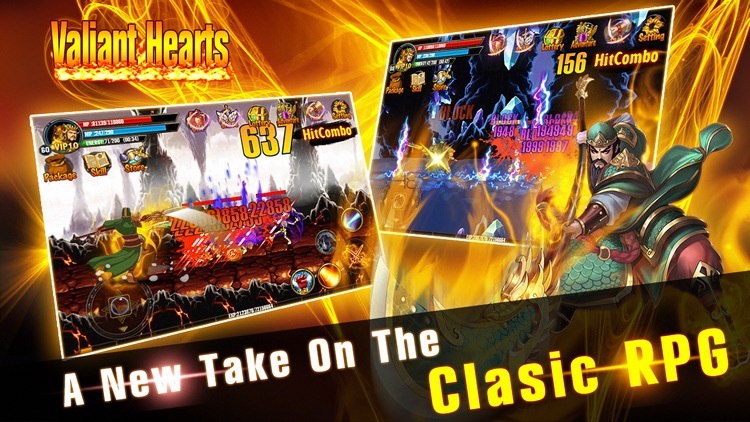 - [Playing] The ultimate action game filled with endless battles against monsters that keep you immersed in thrill and excitement ! - [Equipments] Hundreds of unique style of suits! 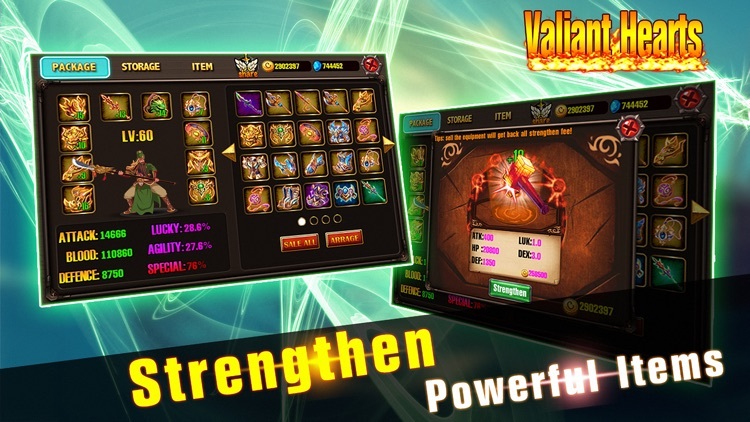 More super equipments are waiting for you! - [Task] More than 100 tasks with rewards are available! 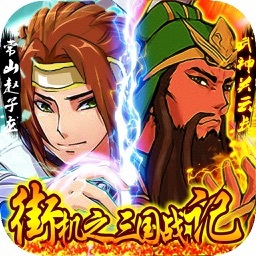 - [Specially skills] Various gorgeous Skills! - [Music] Gripping background music bring you through the space-time!